The Electoral Commission has released its full report into the events surrounding the May 2010 election during which thousands of voters were barred from polling stations due to administrative problems. Queues formed at several polling stations on polling day (6 May), and some people in those queues were unable to vote when the polls closed at 10pm. Just over 1,200 people were affected at 27 polling places in 16 constituencies. The main contributory factors were poor planning, the use of unsuitable buildings, inadequate staffing arrangements and the failure of contingency plans. Bring forward a comprehensive electoral modernisation strategy for future elections. This should include lengthening the timetable for general elections and improving voting opportunities for service personnel and overseas voters. The modernisation strategy should also address what role, if any, advance voting might play and also if there is a case for requiring proof of ID at polling stations in Great Britain. Bring forward a comprehensive plan to ensure the effective management and delivery of future elections This should include ensuring greater co-ordination for the delivery of elections and introducing mechanisms to hold Returning Officers to account for the delivery of their statutory functions. Implement individual electoral registration in Great Britain in a way that maximises the completeness and accuracy of the electoral register. After the Election there was talk of spurned voters pursuing claims on the basis that the state had breached their human rights. In a recent judgment on the issue (Frodl v Austria, Application no. 20201/04, 8 April 2010 – see our post) the European Court of Human Rights observed that “while this might not be obvious from its wording, Article 3 of Protocol No. 1 enshrines a characteristic principle of an effective democracy and is accordingly of prime importance in the Convention system”. However, voters are likely to face difficulties in pursuing claims for compensation, despite the well publicised claim by Geoffrey Robertson QC that they might be entitled to £750 compensation. The European Court of Human Rights has been reluctant to award compensation to spurned voters in the past, and has been keener to provide “just satisfaction” (the object of any legal remedy in human rights claims) by way of insisting on changes to state voting laws. 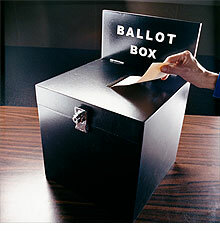 Liberty, the Human Rights organisation, have said that they are investigating claims on behalf of barred voters. These claims will have more weight on the basis of the Electoral Commission’s report, but the more enduring and effective outcome would be reform of the creaking system rather than a few hundred pounds compensation for spurned voters.